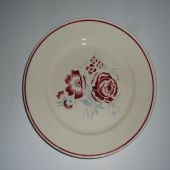 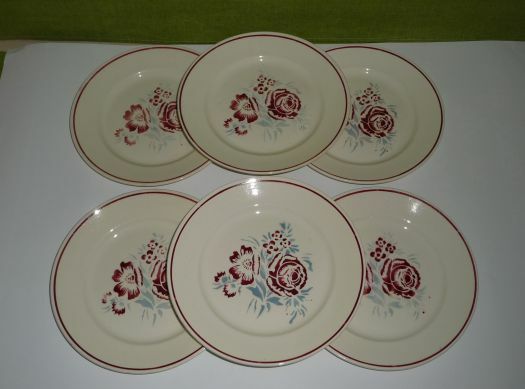 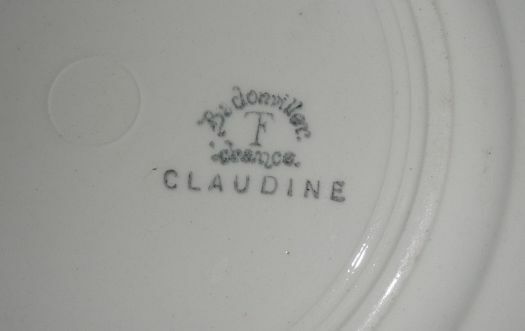 6 flat plates, model "Claudine", from Badonviller's manufacture. 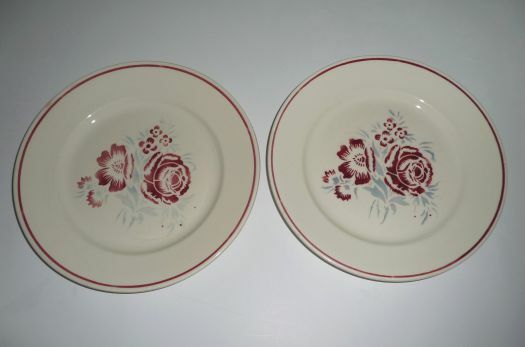 They have been used and have defaults : many scratches made by knifes, a discrete chip on one plate ; the design has not exactly the same colors on all the plates. 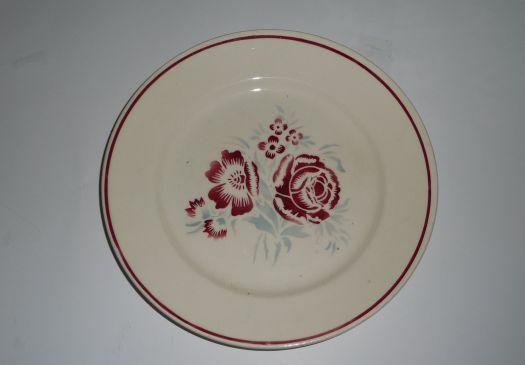 But it remains a nice model, for a cheap price.